There is no record of veneration at this well, but above the well house opening is a St Bridget's Cross inscribed into a cement panel. 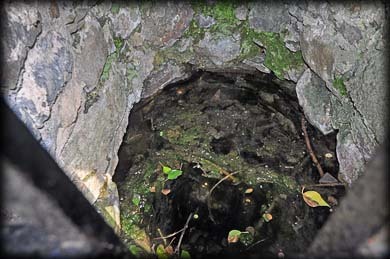 The well is situated just south of the east end of the medieval bridge. The bridge is located on an old road from Clonmines to Fethard. 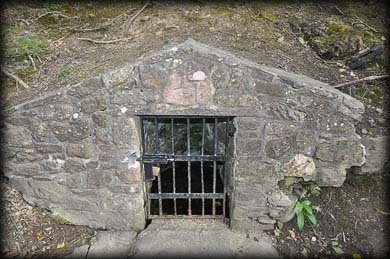 The holy well appeared on early 19th and 20th century maps where it was marked as Lady Well. Also located at the eastern side of the bridge are the remains of a Lime-Kiln. It is the battlemented stone structure at the south east corner of the bridge. If you walk up the road east of the bridge you will see the medieval church of Tintern on the left. Situated: See Tintern Abbey. The well is at the east end of the bridge that lies to the south of the abbey. Discovery Map 76: S 7953 0989. Last visit April 2015.